The origin of this apple is rather obscure, but generally believed to have arisen in Virginia in the mid-1800’s. The tree is very attractive, with a drooping appearance similar to Willow trees. 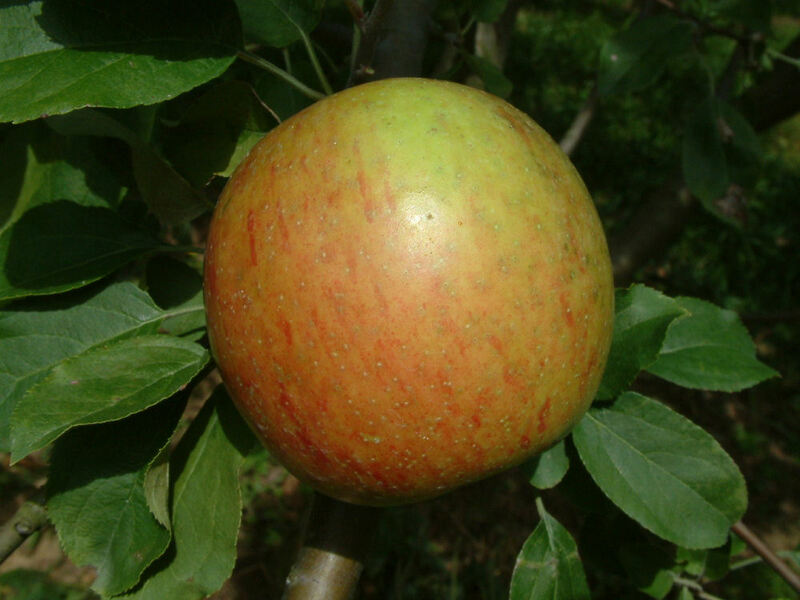 A medium to large apple, conical in shape, and sometimes slightly ribbed. Smooth yellowish green skin blushed with dull red stripes and splashes. The yellowish flesh is coarse, crisp and juicy. Ripens in October and an excellent keeper, remaining fresh and firm until March or later. I am interested in buying some Willow Twig apples. They are very hard to find and we can sometimes find them but would like a reliable source. Please let me know if I can buy from you, what the minimum order would be and approximate cost along with shipping. If you do not ship/sell the apples, do you know of any orchard that I can buy the apples from? We are sorry, but we won’t be harvesting any Willow Twig apples this year; as happens all too often, late spring freezes hurt our apple crop. We don’t really know of any other source for these apples; perhaps your local Co-operative Extension office could give you a lead on local orchards. We are just a small orchard, anyway, and cannot really ship out apples. We just sell locally at our Farmers Market.